The other day, I received a Twitter follow from GoForThe.com. The domain name seemed clever enough and it piqued my interest, so I decided to check it out. GoForThe.com, formerly called Zenscrow, is a domain buying service that specialized in owner financed sales and leases. 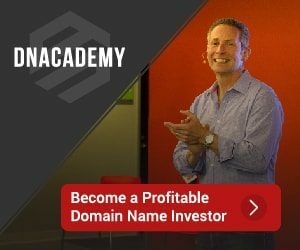 While not an entirely new concept, the company offers buyers the ability to acquire a high-end domain name while making monthly payments and developing the domain during the process. Adam Paddock is the founder of the business. This isn’t Adam’s first venture. He founded AntiApparel.com in 2006, later selling the business. Mike: Can you tell us a little bit about your background before we jump in to GoForThe.com? Adam: Primarily my background is in SEO, specifically link building. While doing SEO for an agency firm in Southern California I began to acquire premium domain names on behalf of our clients to use for creating microsites. During the process of acquiring these names I started to notice the cash barrier that would prevent sales. Our smaller clients really wanted premium names but didn’t have the funds to complete the sale. Even our contacts at larger clients (Fortune 1,000) who had access to enough capital didn’t want to sign off on a $50,000 domain acquisition. So we started doing deals over monthly installments which worked. However the process was tedious with parties to the deal nervous about who would hold the domain during the monthly payments. So that’s really where the idea for this project was born. Mike: Why should people use GoForThe.com when seeking a premium domain name. What does your service offer that someone might not be able to do on their own? 1. We provide a buying service where we research/find domains and negotatite a monthly payment plan on the buyers behalf. 2. We handle all the setup including creating a purchase agreement and setting up secure third party escrow (where the domain will be held during the monthly payments). 3. We manage the monthly payment plan (payment reminders and processing), provide customer service, and monitor the use of the domain name to protect sellers. The domain monitoring gives many sellers confidence in the transaction. While someone could do all these functions on their own we do it for a really low fee of 5%. Also the service is risk free; meaning the only way we get paid is by securing a deal the buyer approves of. We’ve been doing this for over three years and have a ton of little tricks for getting deals done. Mike: On the flip side, why should a domain owner use GoForThe.com to sell a premium domain name? Adam: In terms of selling their domain we have a great “Selling Service” where we promote names to our list of buyer clients. We also do outreach to promote names directly to end users. In terms of the overall service we make owner financed sales or leases very easy and secure. We completely manage payments so the seller can just sit back and receive funds without worry. We also monitor the buyers use of the domain while they make monthly payments to prevent any usage that could cause devaluation to the domain. Mike: As I previously mentioned, “GoForThe.com” caught my attention. Why the change from Zenscrow.com? Is the service different under the new name? Adam: It’s actually the same service. Initially we choose Zenscrow as a name because our product was going to be all about providing an escrow service. At the time there was no “domain holding” escrow types on the market. During the ramp up to launch we learned about Escrow.com’s Domain Holding product so our focus became more on setting up deals (brokering) and managing all the tediousness of these transactions (we decided to use Escrow.com’s service as the escrow component of our offering). However, we still launched as Zenscrow and operated for a little over a year. During that period we experienced a lot of objections and confusion from the Zenscrow name. We started to look for names and came across GoForThe.com on a drop list. We liked the sound of the name and it was a saying we would say around the office (“Let’s go for the .com”). We placed it on backorder and won the name so we just went with it. Mike: Can you talk about some on the names that GoToThe.com has assisted in bring the buyer and seller together? How many domain deals have you been involved with to date? Adam: To date we’ve completed nearly 100 deals. For all deals we do a default NDA but you can see some names on our website in the testimonials. Our biggest deal was a single-word gambling name for $3 Million. Our smallest was a $2,000 name where the buyer paid over 6 monthly installments. Then there’s a sprinkling of other names in between those amounts in all sort of sectors. Mike: You clearly prefer the “.com” over other TLDs. What is your vision or predictions for the new TLD flood that will be hitting the market? Adam: Your right on this, another reason for GoForThe.com is we deal exclusively in .com. It’s obviously the best extension and I’ve always had the feeling that everything else is inferior. I’ve owned names with other extensions and I would just think “man I wish I owned the .com”. In terms of the new TLD’s I think its going to be very interesting. There’s a lot of money behind it that obviously wants it to succeed. And I do think there could be some interesting brands created from hacks like Great.Buy etc. That being said I’m going to go on record and say I don’t think they will be particularly successful. I just don’t see consumers (no matter how technologically advanced) embracing them. We’ve already seen how other extensions leak traffic (think o.co) so even if some TLD’s catch on the .com version of any TLD brand name will always be extremely valuable. In fact I think if you go up to someone at Starbucks and give them a pop quiz to name 5 big brands that are not .com. Ask them what .net sites they regularly buy from. And brand recognition is becoming one of the biggest factors to online success in all aspects of digital including ranking. So the .com is always going to be the holy grail.